I had a class until 5:30PM today. I was so tired and I had to rush home because my family awaits. I am so tired to even think of what to make for dinner. Fried meat will of course be the quickest thing to do. So how did he make it? Pretty simple actually. He just crushed some ginger and garlic and then added chicken broth and a pack of dashi, a kind of Japanese seasoning available at Asian stores and about 300mL water and let it simmer. For the toppings, he boiled some eggs, soaked chinese cabbage in hot water for a few minutes, chopped some spring onions. He also cooked the ramen noodles al dente. Then in a large bowl, he poured in the soup stock, added in the cooked noodles, and put in the toppings. He purchased some sliced ham from the supermarket downstairs for the meat. After adding all the toppings in, he poured a small amount of hot water. And dinner is served! It is a really good feeling to be coming home once in a while with dinner being served for you and not the other way around. And because the weather today is thankfully milder compared yesterday, it was perfect for a bowl of ramen. I wouldn't mind eating ramen everyday if it is this good! The weather must of course, cooperate. Thanks hubby for the dinner! It wouldn't hurt to own a bar of gold or a few. If someone left me gold, even in the form of IRA gold, I would never refuse it, considering of course that that someone is known to me. I mean, who doesn't want to be wealthy, even if in their dreams right? We would sometimes even joke that our backpacks contain some gold in it because we sometimes refuse to put it down or let it out of sight. And if it were true, it would be troublesome and inconvenient to keep carrying around physical gold with you right? Today, instead of investing hard-earned retirement or pension money into real estate or a new business, many are venturing into gold IRA transfer because gold is the only thing that does not inflate nor is it heavily affected by economic crisis. You must have already heard about 401k gold, wherein those who have retirement and pension plans have the option to convert a portion of their plans to gold. It is a pretty interesting trend and is very promising too. Just imagine yourself not having to worry should you lose your job because you have gold that you can make good use of. Because gold is a precious metal resource that is becoming more and more scarce, you'll be sure that its price will just steadily increase due to it's increasing demand. Indeed, it is not a bad idea to retire and know that you have gold 401k tucked safely somewhere. Hello Couchers! Welcome to the 95th edition of Tuesday Couch Potatoes where we post about a movie each week. Finally, the sun is out and it is a good day to go and watch a good movie at the cinemas but since I cannot, I might as well blog about a movie that I recently watched that has something to do with our theme for this week: Outlawed. We all know the story of Robin Hood, the legendary prince of thieves. So many films and animation, and even a TV series made sure of that. But do you know how Robin Hood came to live in the Sherwood Forest and in hiding? 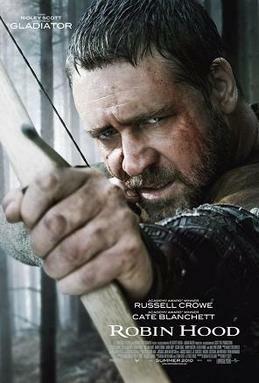 The 2010 British/American film adaption tells of the events in Robin Logstride's life as an ordinary archer down to when he was outlawed by King John because the king saw Robin as a threat to his power. 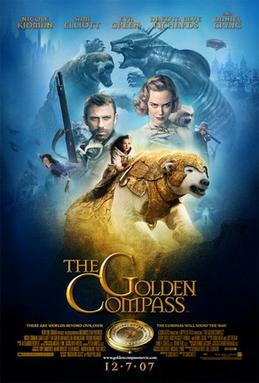 With a delightful cast, good direction, and a witty script, you will definitely enjoy this movie. What's your Outlawed movie? Come share it with us here on Tuesday Couch Potatoes. Don't forget to add your TCP link in the linky below. Next week on TCP: Action Comedy Films. Oh yes, lots of action and a touch of humor fit perfectly. Think of yourself laughing your heart out... it's a great feeling especially when there's adrenaline rush. Thank you for joining us this week on Tuesday Couch Potatoes. See you next week Couchers! Father's Day here in Germany is celebrated during the church's celebration of the Ascension of Jesus into Heaven. So since the Ascension took place on the 2nd of June, it was a holiday for many of us. To celebrate Father's Day, we went on a family adventure at Tripsdrill. The weather was fine and it was perfect for a family outing and what better way to do it than to spend it at an amusement park. Tripsdrill is located just outside Stuttgart and offers over a hundred attractions for visitors of all ages. The best hits and with the longest lines are the newest wooden rollercoaster ride called The Mammut, racing down a raging torrent in a washtub, racing to the finish line in a soapbox race among others. My little girl was so ecstatic, she wanted to try all the rides. But since she is still small, she can only ride the kiddie rides. Wait a few more years and we can all take the rides that we want to our heart's content. If you want to have a relaxing day, try Tripsdrill and experience culture, fun, adventure. Entrance to the park costs €23.00 per person but for a mixed group of at least 20 persons, each person only pays €16.50. Children below 4 years old are free of charge. It has been cold and wet here the last few days and I just can't believe it! I mean, I am happy that it is not so hot but it sometimes feels like I would freeze to the bone. Last Monday, I wasn't so comfortable wearing only a shirt and a thin cardigan because it rained and it was so cold. The weather forecast said that it was going to be only a cloudy day at temperatures between 16-20% so I thought it was enough. Duh, I was so wrong. And since I don't have a smartphone, I can't always connect to the internet to check the weather every now and then. Maybe it is about time that I get one? Or better yet, a blackberry tablet so that I can also read my lecture notes without having to bring a load of paper files with me. Anyway, today is going to be one of those days when there will be more rain and thunderstorms later in the day. And the weather always changes its mind so there is a big possibility that it is also going to rain this morning. A lot of my friends are complaining already but as one friend puts it, "jetzt ist Sommer,egal ob man schwitzt oder friert... Sommer ist,was in deinem Kopf passiert.."
Translation: "It is now summer, regardless of whether you sweat or you freeze. Summer is all a state of mind." For someone like me who has lived in the tropics all her life, just a small drop of temperature can really affect me. But I am getting used to the weather here in Germany, which as some of friends would joke to be like the Germans: more often cold but sometimes warm. I know that we will soon see better, sunnier and warmer days. And when that time comes, I will definitely be one of those who is happiest. Hello Couchers! Welcome to the 94th edition of Tuesday Couch Potatoes where we post about a movie each week. Our theme for this Tuesday is "A Nicole Kidman Movie". Whoever doesn't love to watch this talented American - Australian beauty? I know I do. I have seen many of her films, award-winning or not. She is just one of those actresses who can play her role very effectively, whether it is a drama, romantic comedy, or adventure film. What's your Nicole Kidman Movie this week? Come share it with us and enter your TCP link URL in the linky provided. Thank you all for joining us this week on Tuesday Couch Potatoes. Next week's theme will be: Outlawed, films about being an outlaw or how the character came to be an outlaw. Happy TCP everyone! Hello Couchers! Welcome to the June 14th edition of Tuesday Couch Potatoes. My apologies if there was no TCP last Tuesday. I just didn't manage to blog even a single entry last week. So our theme for this Tuesday will still be Divas Turned Actresses in which we feature movies whose actors / actresses are also very good at singing. My pick will have to be Maid in Manhattan, a 2002 romantic comedy is about a hotel maid and a high profile politician who fall in love. It stars Jennifer Lopez in the role of a hotel maid and Ralph Fiennes as the high profile politician. Christopher Marshall (Fiennes) thinks Marissa Ventura (Lopez) is a socialite when she was mistakenly washe saw This is a fun and sweet movie to watch, which leaves you feeling happy and good about life after watching it. You'll also learn something from this film and if you want to know what it is, you'll just have to watch it yourself. Thanks for joining us here on Tuesday Couch Potatoes my dear Couchers. I hope to see you all again next Tuesday for the theme: A Nicole Kidman Movie. Have a good week everyone and Happy TCP! These are hard times. Prices are steadily increasing and keeping a household can be a tough job, especially if you always go over budget. That is why I try to save whatever I can and cut on things that are not really needed in the house. I have the tendency to just grab whatever I find at the grocery store, especially if they slashed down the price and I end up paying more because of the additional items. To keep myself from doing such "crime" over again, I bring a grocery list, a calculator and a pen. These are really effective in helping me stick to the budget. The other thing is when I buy goods online, I always try to look for those with coupon codes and those that offer free shipping so that I could save more. I always find Target coupons very helpful in really helping me save. Even if it is just a few cents or dollars per purchase, it could go a long way if you add them all up together. I think that coupons are not just a marketing tool. They are really aimed at helping customers get the most out of their money and help them save at the same time. The Internet has a wealth of offers and coupons to offer if you only know where to look. Before, I just take ignore them, the coupons I mean. But what I didn't know is that entering those special codes each time you check out during an online purchase really decreases the amount that you need to pay. So the next time you shop, use coupons as much as you can. You'll be amazed at how much you are able to save.